Everyone who exercises knows the mantra “no pain, no gain.” But you better watch it. While exercising, pay attention to what your body tells you. If you experience foot pain, knee pain or back pain, you’re most likely suffering from impact forces. Running, jogging, aerobics and walking are good for your heart and lungs. But when you’re exercising, the tremendous impact of your feet repeatedly pounding the ground or a hard floor causes foot pain, knee pain and back pain. When you’re running, jogging or doing aerobics, pressure on each foot can be three to four times your body weight. Even walking takes a toll, putting up to one-and-a-half times your body weight on each foot. During one hour of strenuous exercise, you feet cushion as much as one million pounds of pressure. The jarring impact that starts at your feet travels upward into your knees and back; the culprit not only for foot pain, but also knee pain and back pain. Shock-absorbing insoles are a simple, effective remedy for the foot pain, knee pain and back pain you experience when you’re exercising. In a recent survey, 36,000 fitness professionals named a good pair of fitness shoes with shock absorbing insoles as the single most important exercise accessory. Unfortunately, the standard insoles that come with most fitness shoes flatten out and don’t provide any cushioning after a short amount of use. 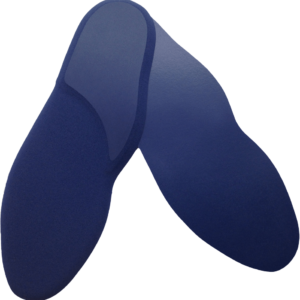 Foot Shox shock-absorbing insoles provide much more impact protection and relief from foot pain, knee pain and back pain than the insoles that came with your fitness shoes. That’s because Foot Shox insoles are made entirely of LIQUID FILLED, the #1 shock absorbing insole material in the world. An independent lab rated LIQUID FILLED #1 for absorbing painful impact forces — superior to latex foam, gel, sponge rubber, neoprene, vinyl sponge or viscoelastic. Shin splints, corns, calluses and blisters also cause exercise-related pain. Blame shin splints for that nagging pain in the front of your leg. Shin splints develop when you engage in exercise requiring constant pounding on the legs and feet. Shin splints also develop when you perform the same action repeatedly, such as walking on a treadmill or just walking. Corns and calluses are hard, thickened areas of skin. Corns form on your toes and calluses form on the balls of your feet. Blisters are raised patches of skin filled with fluid. Corns, calluses and blisters are caused by pressure and friction. Foot Shox insoles also reduce the exercise-related pressure and friction that cause painful shin splints, corns, calluses and blisters. Putting Foot Shox insoles in your fitness shoes takes the pain out of exercising.